Italian Chamber of Commerce in Bulgaria joined officially the project “EASE AND SEE – Enabling Actions for Social Enterprises in South East Europe”, funded by the European Union under the South East Program (SEE) 2007-2013. EASE AND SEE – “Enabling Actions for Social Enterprises in South East Europe” is a European transnational project focused on innovative social entrepreneurship which considers Social Enterprises being active players in the business community and not only in the welfare system, aims at strengthening their relationships with “traditional” enterprises and the financial industry and implements concrete solutions to support economic development and networking at local and European level. To increase contracts, business offer managed by social companies in the SEE area. The partnership of EASE AND SEE – “Enabling Actions for Social Enterprises in South East Europe“ project is made up of 2 public authorities coming from Italy (City of Venice – Lead Partner, Veneto Region), 1 Regional Development Agency from Slovenia (RDA of Northern Primorska regional development agency Ltd. Nova Gorica), 1 not for profit organization active in business support activities coming from Hungary (Pannon Business Network Association), 1 Social enterprise from Austria (Association for Waste Prevention – ARGE), 1 Chamber of Commerce and Industry from Serbia and Italian Chamber of Commerce in Bulgaria, the unique partner from Bulgaria. Additionally EU Strategic Associated Partners coming from Belgium and Italy will provide additional advices, quality and European perspective to the project. Please visit EASE AND EASE on facebook to be updated on European scheduled initiatives and events or visit www.easeandsee.eu to get much more information on EASEANDSEE activities calendar. The Italian Chamber of Commerce in Bulgaria received the approval from the European Commission for “PROACTIVE_CHANGE – Promoting Restructuring Opportunities for an Active Change” project, financed by the European Program PROGRESS, under the call for proposal “Mutual learning in the field of skills and employment, EU Sector Skills Councils, Restructuring”. The kick-off meeting will be launched in the forthcoming November. PROGRESS Program is a financial instrument supporting the development and coordination of EU policy in the following five areas: Employment, Social inclusion and social protection, Working conditions, Anti-discrimination and Gender equality. According to the overall objective of the PROGRESS Program, the project “PROACTIVE_CHANGE” has been conceived to support the implementation of the European Employment Strategy (EES) for a 12 months period by improving the capabilities of actors on good and innovative practices of anticipating change and restructuring at European, sector based, regional and company level. To share good practice on: measures and tools on Local development; Governance of public authorities and social partners; Governance of the labor market; Competencies for competitiveness; Innovation; Internationalization; new markets and Clusters. 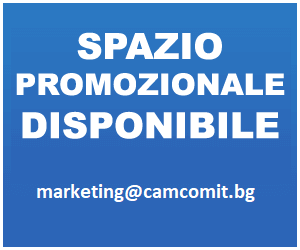 Germany (Italian Chamber of Commerce in Germany), Romania (Confindustria Romania), Italy (Umbria Export), Spain (Ajuntament de Viladecans) and Bulgaria with the Italian Chamber of Commerce in Bulgaria, for the implementation and execution of work package 3 – National/Local Seminar and Visits. Please visit PRO ACTIVE CHANGE on facebook to be updated on scheduled initiatives and events or visit www.promotingproactivechange.com to get much more information on PRO ACTIVE CHANGE activities calendar. 1° meeting – “Development of Entrepreneurial System in Eastern European Countries”, february 2004, Padova. 2° meeting – “Access to credit for SMEs: current issues, the role of the public and development prospects”, february 2004, Lubiana (Slovenia). 3° meeting – “Utilities e local development: experiences and synergies with the countries of New Europe”, march 2004, Padova. 3° meeting – “Trade in agricultural and food products in the enlarged European market “, September 2005, Legnaro (PD). Promoted by CCIAA of Chieti and co-financed with law 84/2001 related to “Provisions for Italian participation in the stabilization, reconstruction and development of Balkan countries”. The project aims to develop decentralized cooperation between the twelve Chambers involved and partners of Albania, Bulgaria and ex Yugoslav Republic of Macedonia (the geographic area called Corridor 8 by the European Union). 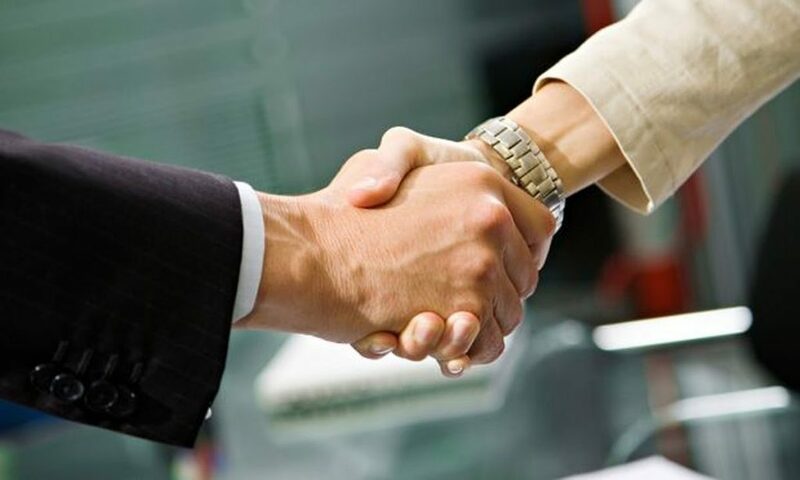 Project promoted by CCIAA of Vercelli and by CEI (Central European Initiative) aims to establish close connections between the Chambers of Commerce of the INCE area and to offer facilitations to the entrepreneurs who want to enter on the new markets. 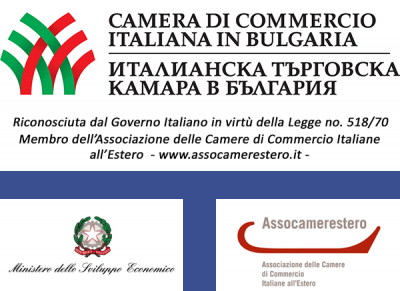 The Italian Chamber of Commerce in Bulgaria carries out functions of coordination and assistance for Bulgarians operetor involved in the project (the Chamber of Commerce in Sofia, Plovdiv, Varna, Vratsa, Yambol and Haskovo).